Federico Riet Sapriza in the Potter Cove. In the background you can see the Fourcade glacier, a wall of ice that is tens of meters high that descends on the coast and runs as far as the eye can see. The Alejandro R. Carlini base, located in Potter Cove, has a capacity of 106 people. 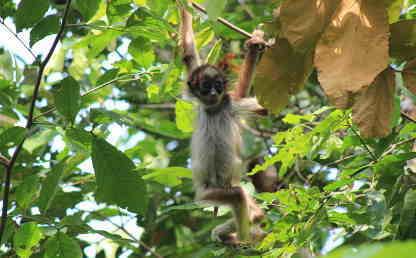 The site was adapted in 2012 so that world scientists can advance diversity and conservation studies in one of the largest ecosystems. La foca de Wedell, Leptonychotes weddellii, sale a la superficie a descansar luego de permanecer bajo el agua cazando su alimento por más de una hora. 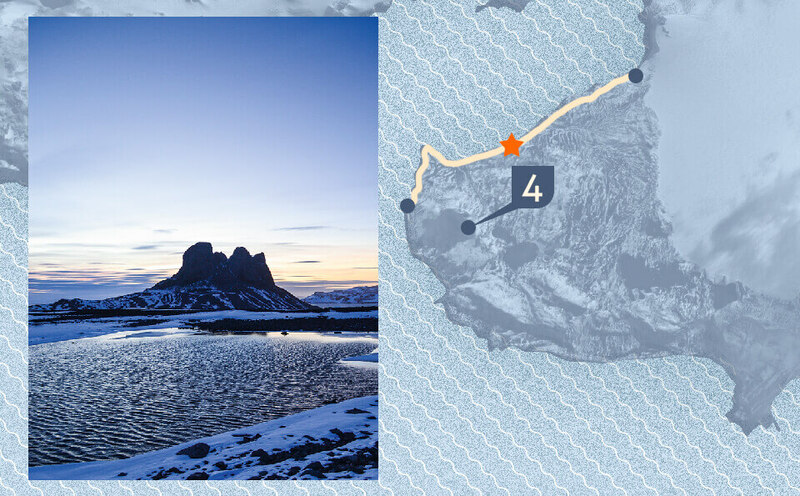 The Three Brothers are towering mountains that stand out in the Potter Cove. It is believed to have been volcanoes. 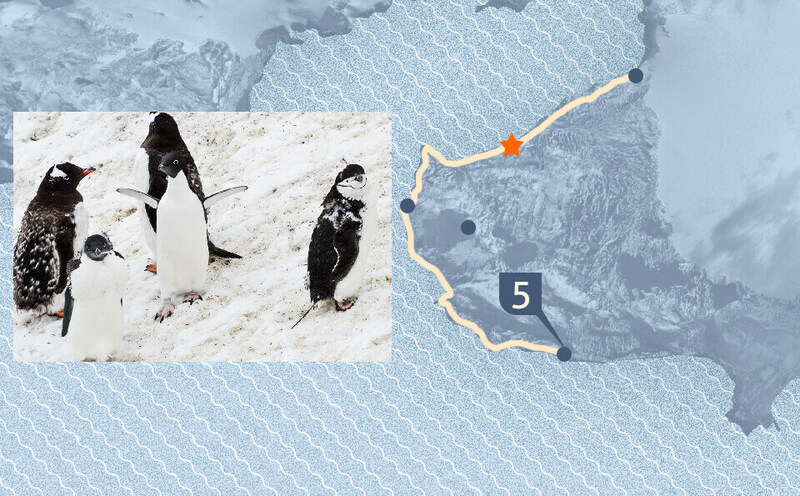 Vincha, Adelia and Barbijo, three species of penguin that are in the route. The Elephant Refuge is inside a nature reserve, about 3 km from the Alejandro Carlini Base. 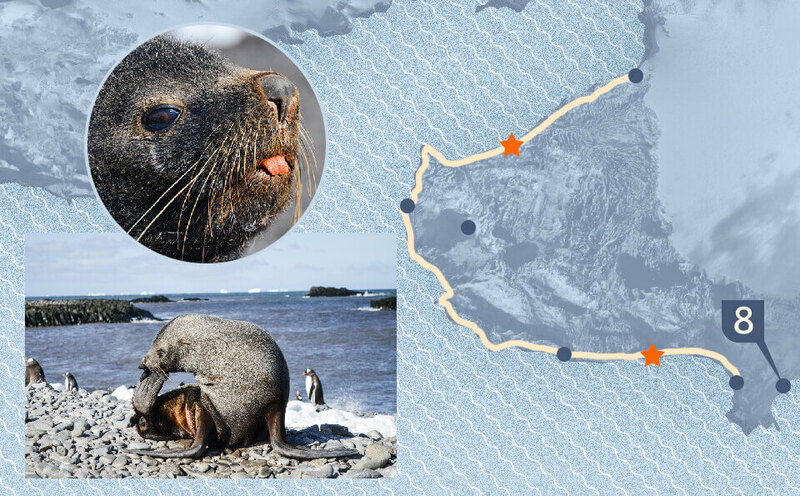 The site serves as the main site for field work with penguins and elephant seals. Southern elephants are 4 to 5 meters long and weigh up to 4000 kilograms. Its scientific name is Mirounga leonina. Antarctic fur seal, Artocephalus gazella. Males can weigh up to 480 pounds and females around 200 pounds. They have external ears, so they stand out, because most species of seals do not have them. 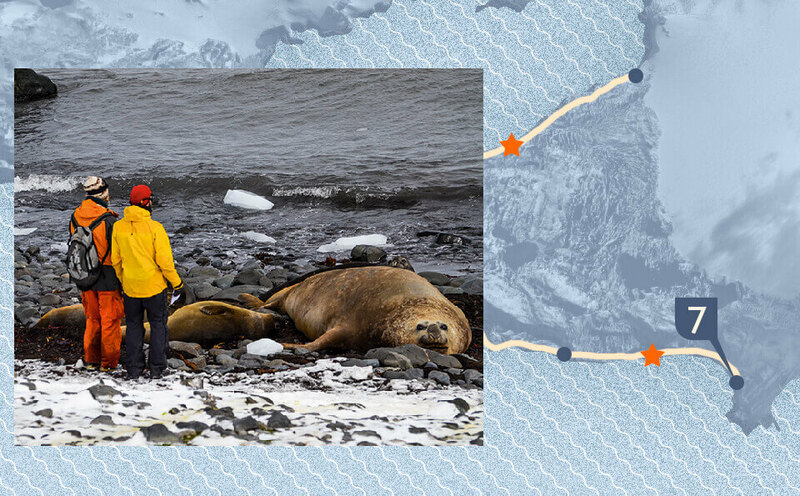 During the Second Colombian Expedition to Antarctica, 60 skin and fat samples were collected from these mammals in order to study their eating habits and contribute to the knowledge of this fragile ecosystem. 1. 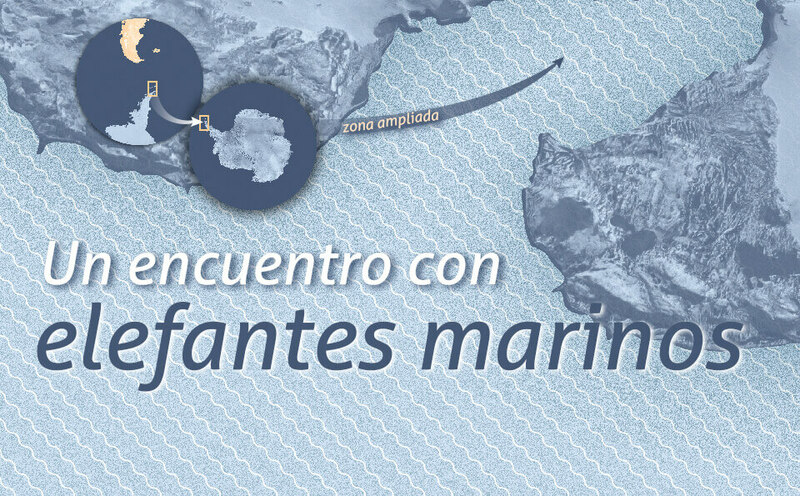 The Colombian voyages to the Antarctic are an initiative of the country to scientifically investigate the climate change, the evolution of the climate, the biodiversity of organisms, the adaptations to the environment and the valuation of Antarctic resources. 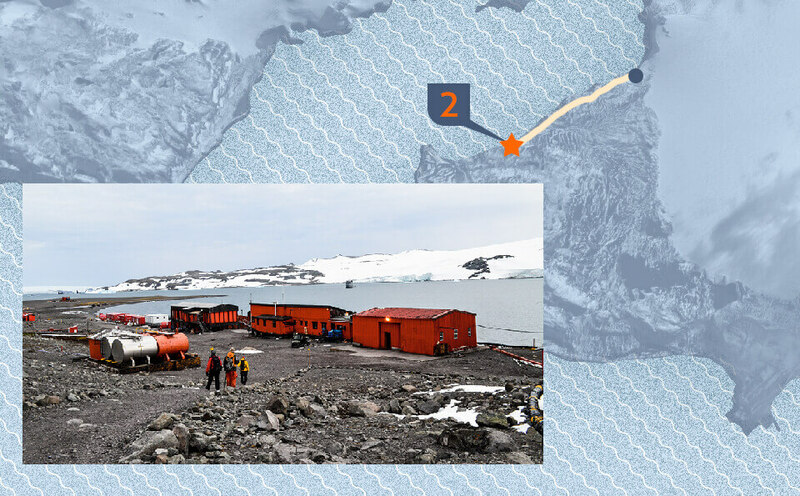 It also seeks to study the relationship between South America and Antarctica and its contribution to global, regional and national development. 2. The trip to the White Continent was made thanks to the support of the Faculty of Sciences of the University of the Andes. The research was carried out jointly with the National Directorate of the Antarctic, Dr. Javier Negrete - leader of the Department of Biology of Predators Topes (mammals) of the Argentinean Antarctic Institute - and Diego Mojica Moncada, of the Colombian Ocean Commission (CCO). After breakfast at the scientific base, Alejandro R. Carlini, in Antarctica, Federico Riet Sapriza met with his colleagues in the laboratory to verify that nothing was forgotten. To return for something was not a possibility, because although the work area was near, the hills with mud, the snow and the strong winds made the way hostile. "In the field I always carry a suitcase prepared for any eventuality. The mere fact of wetting can endanger my safety and that of my colleagues because the terrain conditions are extreme." 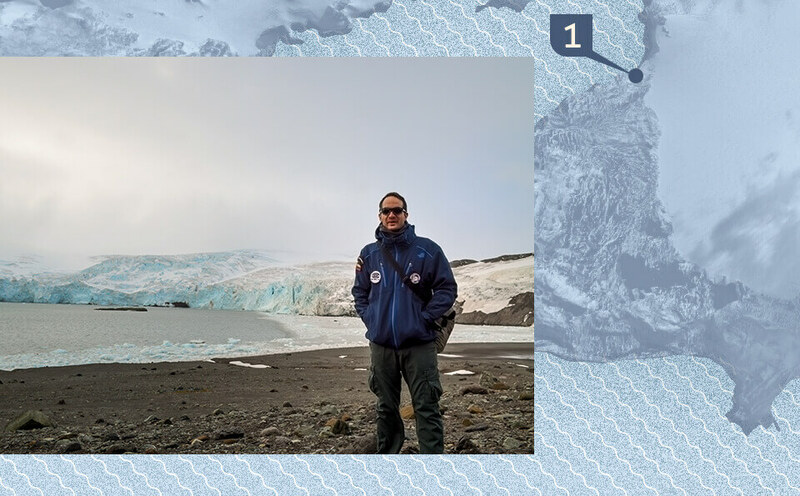 This is how Federico, Ph.D. in zoology at Massey University (New Zealand), recalls his mornings in Antarctica. The researcher, who carries out postdoctoral studies at the Laboratory of Molecular Ecology of Aquatic Vertebrates of the Andes (Lemva) - directed by Dr. Susana Caballero - was one of the scientists who integrated the Second Colombian Expedition to the Antarctic framed in the Antarctic Program Colombian, coordinated by the Colombian Ocean Commission (CCO), which took place between December and March. For 30 days, 60 samples of southern elephant seagrass were collected for diet and genetics studies that will open the door to new research into one of the most important and vulnerable ecosystems on the planet. The objective of this work is to contribute to the knowledge of the biology and ecology of these sea giants to understand the role and place they occupy in the Antarctic marine food chain. When outside the snow and wind were stronger, the atmosphere worsened. 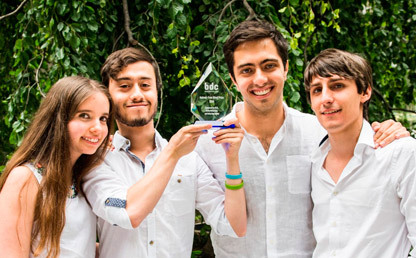 But the group that collaborated with Federico was always ready. "We prepared the tubes with alcohol, tweezers and a modified rifle to collect samples of the elephants without hurting them. We just went out looking for adult females and subadult males." 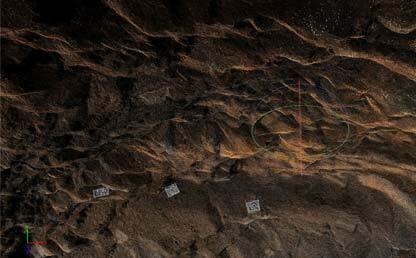 A day of collection ended at 7:30 p.m. with four pieces of skin and many times it was impossible to return to the base. El Refugio Elefante, home of the animals that went to Federico, is 3 kilometers from the base of Alejandro R. Carlini and the only way to get there is on foot. "The snow and the wind are so intense that the walk becomes long and the exposed skin is burned," he recalls. Once the daily crossing was over, after resting near the gas oven, the passion for work was ignited again, because the place is a paradise for those who are surprised by the beauty of nature. "We do this by determining the carbon and nitrogen values ​​of skin and fat samples, so we can position the predator within the chain and determine if there are changes in the diet." The technique is stable isotope analysis, which provides Information on short- and long-term feeding habits ", explains this Uruguayan, specialist in marine mammals. 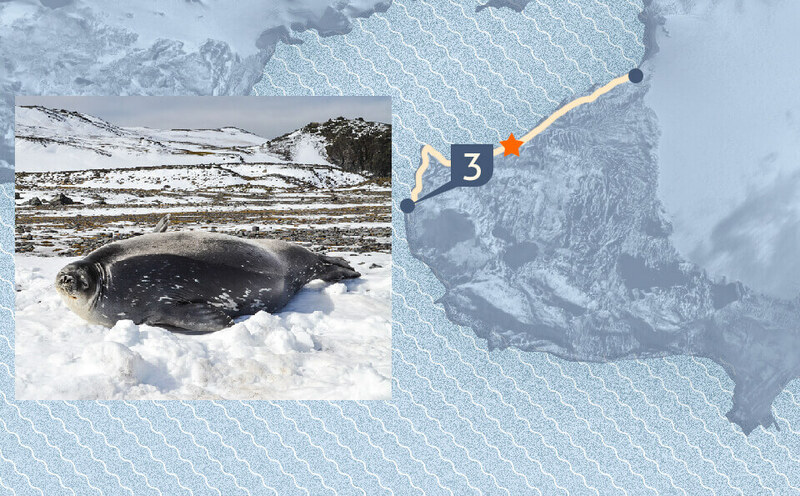 During the Second Colombian Expedition to Antarctica, 60 skin and fat samples were collected from these mammals in order to study their eating habits and contribute to the knowledge of this fragile ecosystem. A uniandino postdoctoral researcher tells details of his participation. 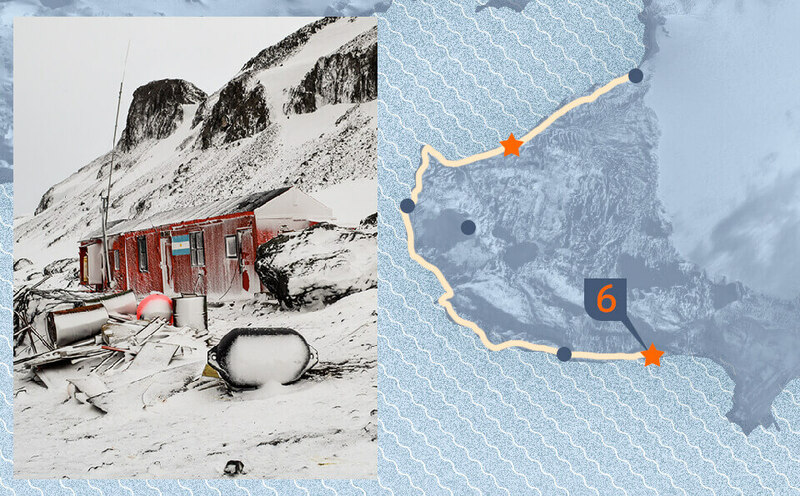 This was Federico's first visit to Antarctica. Although he has seen amazing things in other distant lands to which his profession has taken him, this protected area - where, because of its large size, number and personality, the southern elephant seals are the kings - surprised him with the reproductive colonies of several Species of penguins, countless birds and mammals as well as the sea lion, the Wedell seal, the crab and the fearsome leopard seal. These animals move freely through a ecosystem and habitats so rich that they have to resist, imposing and beautiful, in front of the man's hand.